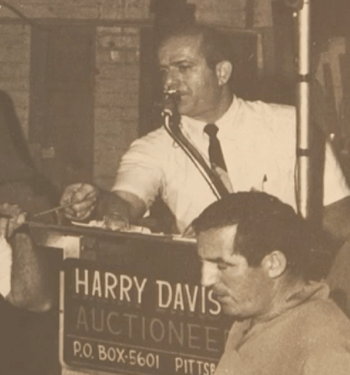 Born in the Monongahela River valley and based in Pittsburgh, Pa. since 1955, Harry Davis & Company is the largest and most prominent auction and appraisal service in the region, and has become an international force in the food and beverage industries. Started over a half century ago by the late General Harry B. Davis, the company grew over the years into a national leader in industrial auctions, turnkey sales, valuations and business consulting. Today, a third generation continues to enhance Harry Davis & Company’s strengths in the dairy, food and beverage industries while expanding into new areas of opportunity. At Harry Davis & Company, we’re more than just auctioneers, sellers and appraisers. We’re asset curators. We understand the psychology behind each sale, and know exactly what items you should highlight, what you should salvage, and how to order those sales to ensure you get maximum return. For more than 60 years, Harry Davis & Company has helped companies of all sizes, from large corporations and financial institutions to small family businesses, obtain maximum value for their capital assets. Harry Davis & Company provides auction and turnkey sales, appraisals and consulting services worldwide. The list of our clients and customers spans many of the major banking and financial institutions and Fortune 500 companies: Albertsons-Safeway, Alcoa, ADM, Bank of America, Borden, Coca-Cola, ConAgra, Cott Beverage, DFA, Dean Foods, GE Capital, Hershey, HP Hood, KraftHeinz, Kroger, Land O’Lakes, Nestle, OceanSpray, PNC Bank, Pepsi-Cola, Pfizer, Sony, Supervalue, Unilever, U.S. Steel, Blue Bunny, Wells Fargo, Westinghouse. From intricate international issues to logistics and shipping, we provide end-to-end expertise on international sales. Your assets aren’t worth what one person will pay. They are worth whatever the highest bidder is willing to pay. Our HD Network includes every connection we’ve made in the past 60+ years of auctions, appraisals and equipment sales. From Pittsburgh to Poland, wherever your assets are, we’re able to create a marketplace that drives maximum value. We don’t price or appraise your assets from afar; Our team will come to you, wherever you may be, and perform on-site due diligence that identifies key items for sale and their background. We’ll turn that information into capital gains at auction. Contact Harry Davis & Company to start your needs assessment today.